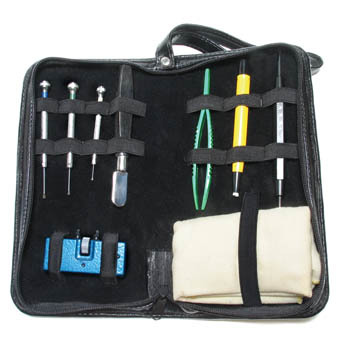 This kit has all the tools you need to perform basic watch repairs anywhere you go. 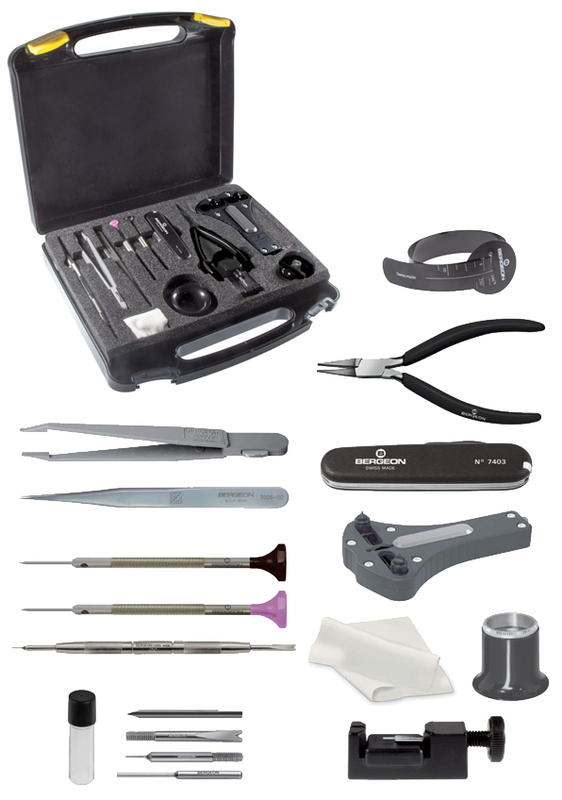 Ideal for shows, classes and more. 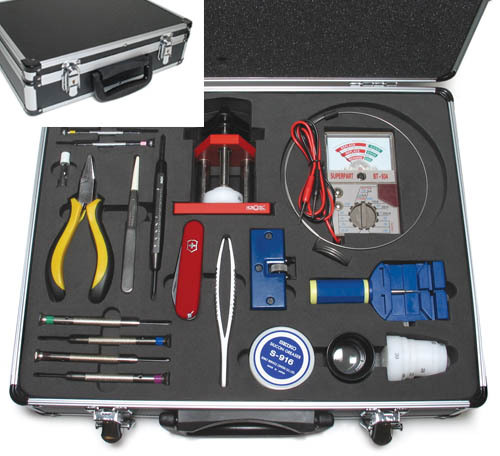 Tools stay safe and nealty organized in the specially fitted sturdy case. 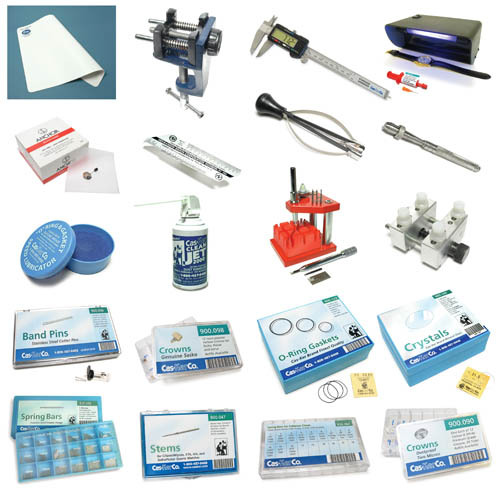 Horotec Case Press with Nylon Dies. Victorinox Folding Pocket Knife/Case Opener. Pocket Size Screwback Case Wrench. Four each Phillips and Straight Screwdrivers with Spare Blades. Watchmaker's Loupe with Wire Loupe Holder. Fitted Case with Lock and Key.